THE LATEST bit of news about Moonlight was expected to have untold information which is crucial. This very self-explanatory picture reminds us that Moonlight is essentially a Microsoft project and Microsoft is not allowed to help its #1 competitor, by definition (unless it somehow helps Microsoft in another way). There is one simple reason – the version of Moonlight that other distributions can offer will be able to play only media which are in free or open source formats. To play any other format means one has to buy licences for proprietary media codecs from the owners. 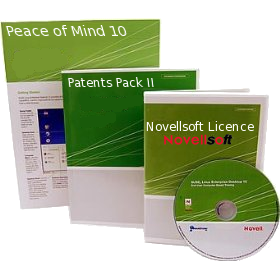 Users who obtain Moonlight from Novell will have access to these codecs. But you wouldn’t know about this if you read the Novell press release. (Microsoft hasn’t deemed this announcement, which apparently is another earth-shaking one for the Moonlight project head, Miguel de Icaza, important enough to issue a media release). A member of the GNOME Foundation board has denied that a post by GNOME co-founder Miguel de Icaza led to a discussion on the Foundation mailing list which resulted in a call for the project to cut its ties with the GNU Project. Behdad Esfahbod made reference to a story in these columns, wherein it was claimed that a Planet GNOME post by De Icaza, about Microsoft’s Silverlight technology, served as the catalyst for another Foundation member, Lucas Rocha, to start a discussion on members’ complaints about the type of content appearing on the Planet. Speaking of which, watch how Microsoft still discriminates against GNU/Linux distributions that don’t pay Microsoft. Before we get into the nitty gritty, let’s start with the most basic of features and simplest of tasks. Say you are an IT shop that supports more than just Windows servers; you have a mixed environment with different flavors of Linux and Unix. Hyper-V, however, supports only Windows and SuSE Linux. That’s it. If I am to recommend an enterprise virtualization infrastructure, it would need to support a bit more than one flavor of Linux. You heard that right. Citrix is getting its virtual machine failover technology to Microsoft’s Hyper-V and integrating it with Systems Center management tools ahead of its own XenServer/Essentials combo. Williams is trimming his estimates of Novell revenues for the first quarter of the new fiscal year by 3 percent and for next year by 1 percent compared to this year, with earnings per share for the year at 31 cents, down 9.6 percent over the current year. “The biggest risk that we see for Novell in the year ahead is that management will lose credibility with the Street and the stock will be dead money until proof of concept becomes visible to investors,” the report said.